Passages to the Past is pleased to bring you an interview with the wonderfully delightful Susan Higginbotham, author of The Traitor's Wife! What fascinated you about Eleanor de Clare? What compelled you to tell her story? When I first started researching her story, I came across the information that she had married her first husband’s captor, and that intrigued me to find out more about her. As I dug more into her story, I realized what a strong woman she must have been—not strong in the sense of being aggressive, but strong in her ability to overcome tragedy. Women today write entire books about juggling work and family and dealing with menopause, but Eleanor had to cope with the death of her brother, the horrible deaths of her first husband, her father-in-law, and her uncle, the imprisonment of her eldest son, the forced veiling of three of her daughters, her own imprisonments, the loss of her lands, and a legal battle over the validity of her own second marriage. Just one of those things might put a modern woman in therapy for years, and Eleanor had to deal with all of them. Her fortitude and that of other medieval women astounds me, and that’s what made me want to tell her story. Do you think Eleanor was deliberately naïve about the relationship between her uncle, King Edward II and her husband, Hugh le Despenser or was she genuinely oblivious? Probably more the former. I think that like many people, she wanted to believe the best about those she loved, and that she was more comfortable ignoring signs that to outsiders might have been obvious. While researching The Traitor's Wife did you come across anything about Eleanor, Hugh or Edward that was surprising? One of the things that initially surprised me was how prominent a role Hugh played in Edward II’s downfall. The best known fictional account of Edward II’s reign is Christopher Marlowe’s great play Edward the Second, and Hugh is portrayed there as little more as a stand-in for Piers Gaveston, whose relationship with Edward is the driving force behind the action of the play. The Marlowe play greatly compresses the time involved, and it was a shock to me to realize that Gaveston died quite early in Edward II’s reign and that it was really Edward’s relationship with Hugh that sealed his fate—and that of Hugh. Another thing that surprised me was the fact that Hugh and Eleanor had so many children together. Many novels depict their relationship as being barren. On that same note, it was also fascinating to learn that both Edward and Gaveston fathered out-of-wedlock children. Readers who are fans of Richard III might also be interested in knowing that Richard’s queen, Anne Neville, was a direct descendant of Hugh and Eleanor through their second son, Edward le Despenser. Do you think that had Edward been heterosexual and had treated a woman like he treated Hugh, that there would have been all the resentment and anger at court? Edward would most likely have not perished the way he did, that’s for sure. Probably not, because Hugh’s downfall wasn’t so much whom he slept with but what he did with his power—he was a ruthless grabber of other people’s lands, and it would have been difficult for a female lover of the king’s to abuse her power in such a way. Alice Perrers, who was Edward III’s mistress late in his life, did engender much resentment, but she wasn’t in a position to do as much damage as Hugh was in Edward II’s reign. On to Isabella…there were several times I wanted to jump through the pages and strangle her. What are your thoughts on Isabella and her actions? Do you think she took the “scorned woman” thing a little too far? I think she had some justification for her invasion of England—Hugh’s actions were certainly a threat to those whose lands he coveted. Had Isabella and Mortimer removed Edward II from the throne, then allowed a regency council to govern the country until Edward III matured, they might well be regarded today as heroes, and even Edward II’s death might have been shrugged off as an unfortunate act of necessity, much the way the murder of Henry VI after Edward IV regained power has been regarded. Instead, however, they overstepped their bounds and proved as greedy and unscrupulous as Hugh had been, and in doing so they alienated the very men who had supported their invasion. To answer your question more specifically, there’s a school of thought that regards Isabella as a feminist heroine, and I don’t buy that notion. She certainly had some cause to resent her treatment, but some of her actions, such as forcing Hugh’s small daughters to take the veil, reek of pure spite and mean-spiritedness. There was no political justification for such actions—the little girls were no threat to anyone. In all fairness to Isabella, I think in later life she did take stock of her actions and perhaps come to regret some of them. She makes a brief appearance as an older woman in my second novel, Hugh and Bess, which reflects that. My Heart Split with Sorrow is the novel you are currently working on – can you tell us a little bit about it? I finished the first draft this morning! It’s set during the Wars of the Roses and is narrated by Henry Stafford, Duke of Buckingham, and his wife, Katherine Woodville, sister to Queen Elizabeth Woodville. Buckingham is best known for helping Richard III to the throne and then turning against him, for reasons that were unclear even to his own contemporaries and near-contemporaries and that are still unknown today. Much of the novel concerns the events of Richard III’s reign, of course, but Harry and Katherine, who married as young children, were deeply involved in the earlier part of the Wars of the Roses as well. Katherine’s father and brother John were executed without trial on the orders of Warwick the Kingmaker, and Henry’s family was divided between Lancaster and York, with his Beaufort uncles dying for the Lancastrian cause and his Stafford uncles ultimately fighting for the house of York. The couple’s lives had much fodder for storytelling, then, and as far as I know, this will be the first novel that tells the story of the Wars of the Roses through their joint perspectives. Do you have any words of wisdom for wanna-be historical fiction writers? Find a story that appeals to you, and write it. Don’t worry about whether it suits whatever trend is uppermost at the moment—the trend will probably have vanished by the time you finish, and even if it’s still around, there are always exceptions. I think that this is a great time to be a writer—thanks to the Internet and print-on-demand technology, there are so many ways to reach an audience that didn’t exist before. Living off one’s writing is a different thing, of course, but finding readers—even if just a few readers—is easier than it was a few years ago. Charles Dickens, Jane Austen, William Shakespeare, Charlotte Bronte, and Anne Tyler. Probably A Tale of Two Cities. A friend of mine who didn’t want his copy gave it to me one day. It was the first Dickens novel I had read, and I started reading it on the subway going home that night. I found it hard going at first, but it whet my appetite for more Dickens, and then more of the classics. I’d always loved to read, but reading the classics helped me to read critically, which in turn improved my writing. In a roundabout way, A Tale of Two Cities also got me back to college to finish the semester I needed to get my degree, which also got me together with my husband. So I owe a lot to Charles Dickens, and so do my children, come to think of it. I hope they’re properly grateful. But the effect of her being on those around her was incalculably diffusive, for the growing good of the world is partly dependent on unhistoric acts, and that things are not so ill with you or me as they might have been is half owing to the number who lived faithfully a hidden life and rest in unvisited tombs. That always brings a tear to my eyes. Just did, as a matter of fact. It would be fun to read Bleak House again for the first time, to savor it. I would like to thank Susan Higginbotham for stopping by and answer some questions - it was an honor to interview such a fantastic author! If you haven't read The Traitor's Wife yet - you are missing out on a great story - seriously, get yourself to the storeh! And I am most excited about er next one, My Heart Split with Sorrow! Isn't that a brilliant title? Love it! 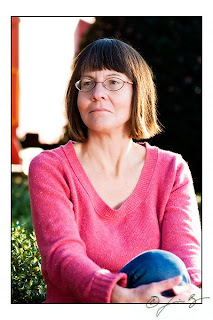 Susan's website, blog (this is a must visit - Susan is hilarious!) and Historical Fiction Squidoo page. Wonderful interview! I so want to read The Traitor's Wife. I loved A Tale of Two Cities, I'm so glad it inspired Susan. What a fascinating interview. Thank you for sharing with us! Awesome interview, Amy! It was very imformative and will surely convince people to read her book. I loved THE TRAITOR'S WIFE and it remains in my list of top ten historical novels -- I would definitely recommend it. I've also read Susan's HUGH AND BESS, which I also enjoyed -- and I can't wait until the next one comes out! I'm so glad you enjoyed the interview! I can't wait for all of you to read TTW and see your reviews! Found your blog via Write on the Thyme and am fascinated by the your blog and the in-depth book reviews. Will be back later this week when I can pass a few hours. I will have lots of reading to catch up! When I grow up I am going to write reviews like this. Awesome interview. Thank you. Great interview, Amy and Susan! I too was struck by the resilience of Eleanor, and other medieval women like her. (My review of The Traitor's Wife is up on my blog today. This was so interesting! I learned so many new details- great interview! I really want to read this one- I'm gonna seriously have to bump it up my TBR list...seems like it can't wait any longer. Thank you Amy and- Thank you Susan!! Thanks for the great interview. I loved The Traitor's Wife and can't wait to get my hands on Hugh and Bess.